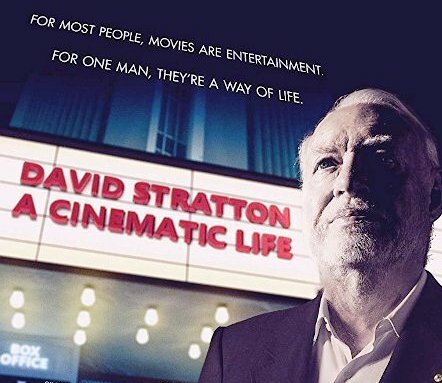 Sally Aitken has directed a terrific examination of the life of highly regarded film critic David Stratton and his love of Australian film in her documentary David Stratton: A Cinematic Life. It’s a cut-down version of a three-part series that will air on ABC TV later this year and it does a great job of whetting one’s appetite for the long-form account. The doco successfully compares and contrasts Stratton’s biography, starting from his arrival in Australia in 1963, with the renaissance of Australian movies in the early ‘70s, and for this much credit should go to the cutting skills of editor Adrian Rostirolla. It’s remarkable how many clips he and Aitken found to parallel the young immigrant’s early experiences in Australia. Unsurprisingly in a film of this sort, there are a great many glowing references from the cream of Aussie film production, from behind-the-scenes creatives like George Miller, Warwick Thornton and Gillian Armstrong, to actors such as Russell Crowe, Nicole Kidman and Sam Neill, but they all serve to drive the narrative and illustrate Stratton’s influence on the Australian industry, as director of the Sydney Film Festival and as film critic. This project could so easily have been mere hagiography but, to the credit of Aitken, and presumably her producer Jo-anne McGowan and exec producer Jennifer Peedom, it has successfully avoided the traps and pitfalls that would have taken it down that road. They’ve included, for example, details of Stratton’s famous stoush with disgruntled Romper Stomper director Geoffrey Wright. David Stratton: A Cinematic Life is an appealing portrait of both the Australian film industry and the grocer’s son who came to have such an impact on it.